In the next few weeks, Madden 13 will grace our lives. When I say “our” lives, I of course mean the fans of American Football. The rest of you will obviously be waiting for FIFA and drooling over how well Rooney’s plugs are rendered. Now every year, unlike it’s rounded balled cousin, Madden curses whoever they choose to be on the cover with a terrible season/injury/crime. This year, the honour befalls one of the standout players of the past year. The man known only as ”Megatron.” Ok his real name is Calvin Johnson, but Megatron is his utterly deserved nickname. What’s with the death stare on the left? The Detroit Lions wide receiver had a career best season last year with 96 receptions for 1,681 yards and 16 touchdowns. But before you Lions fans get the hump with EA for hexing your star boy, the fans in a round robin based system voted for this. So basically, Detroit, no one wants you to be happy. Sorry. One thing Madden does very well (although NBA 2K12 has risen its game mightily) is emulating the presentation of the game on TV. For years we’ve enjoyed the dulcet tones of John Madden’s replacement, Cris Collingsworth, calling the action. NO MORE! 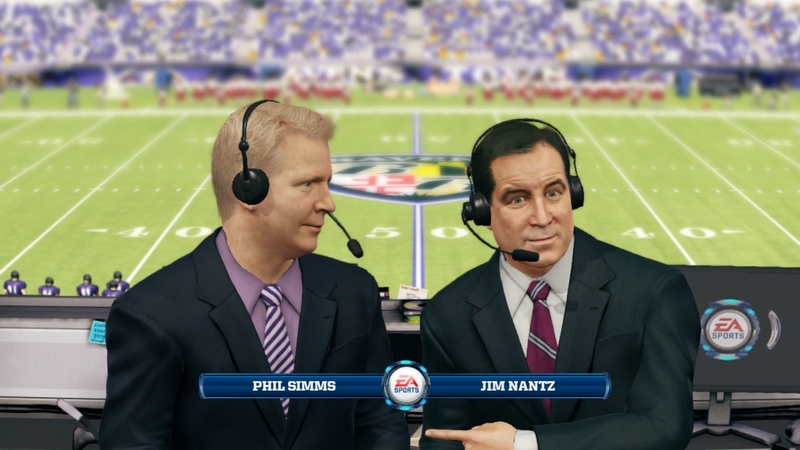 Now the job falls to the CBS pairing of Jim Nantz and Phil Simms (hopefully without his trademark magic pen). Did you hear that? He just farted! The new kits by Nike are fully represented also and the QB’s have recorded audio to give the game a completely authentic feel when at the line of scrimmage. This also goes along with the standard promised visual improvements (new engine, sun shading, motion blur). It also promises to be as interactive as ever with a new “Connected Careers” mode which lets you share your coaching/playing triumphs, failures, creations and plays via twitter to the real world, NFL insiders, etc. Where Madden could strike big is by following in the success of the Ultimate Team game mode. This has been in Madden for a while, even before FIFA had it. But it is FIFA’s success that could really make it grow. Already you can take your team out with you on mobile and there is a lot of emphasis on this, especially seeming as 96% of fans (completely made up statistic) are obsessed with fantasy games. Already the curse of Madden strikes as “Megatron” is now a reserve. But this could make the difference of when you get bored after 7 seasons as your created character or running a franchise. The online play in Madden has always been extremely fun (much more fun that FIFA and less annoying). 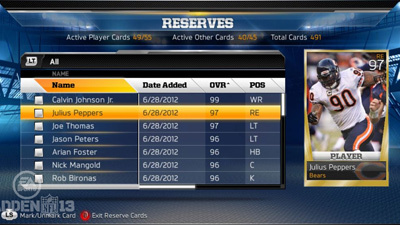 So hopefully the MUT as it’s known will add that great dimension to it.